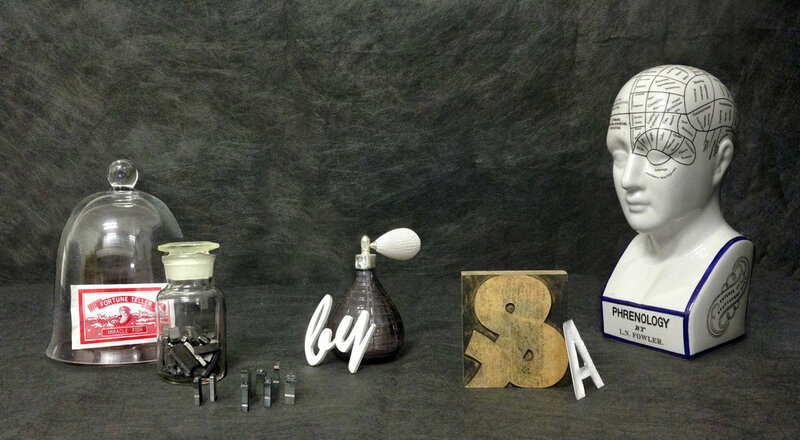 The theme of Grafik’s Letterform Live this week was ‘Experimental’, and it was an exciting evening to be a part of. My aim for the evening was to bring a bit of ‘bonkers and magic’ at a time of so much anxiety. 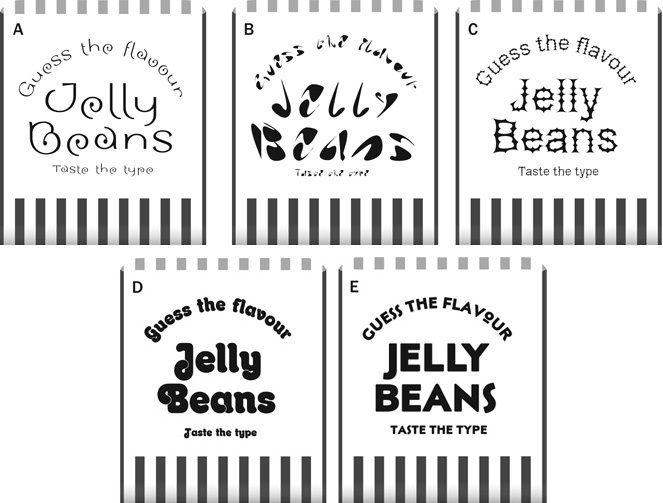 We filled the bar with jellybeans and asked the 130 audience members to guess each flavour from the style of the typeface on the label. If you weren’t at the event you can still take part in this experiment here. I spoke about how amazing the human brain is for the skilful way it creates a ‘sub-programme’ to perform the complex task of reading, which your subconscious performs automatically. 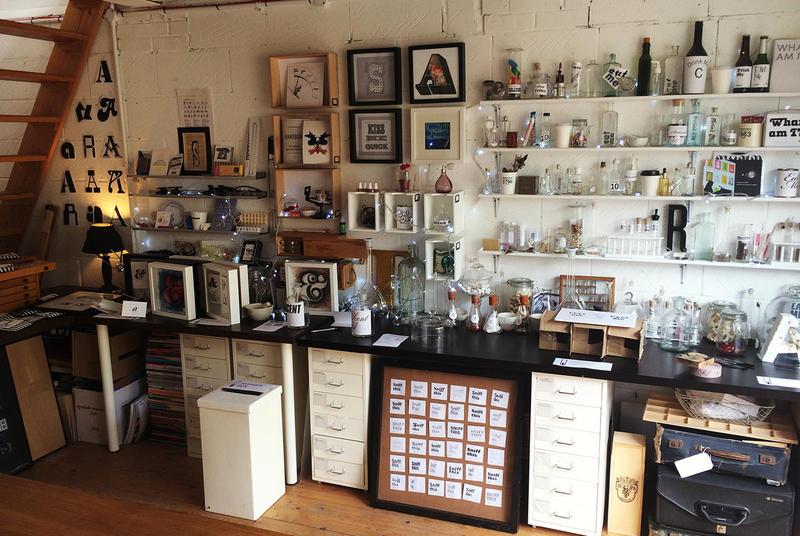 Your eyes simply glance over a series of marks in a huge array of shapes and sizes and—as if by magic—stories, ideas, memories, songs, smells are conjured up right there in your mind. 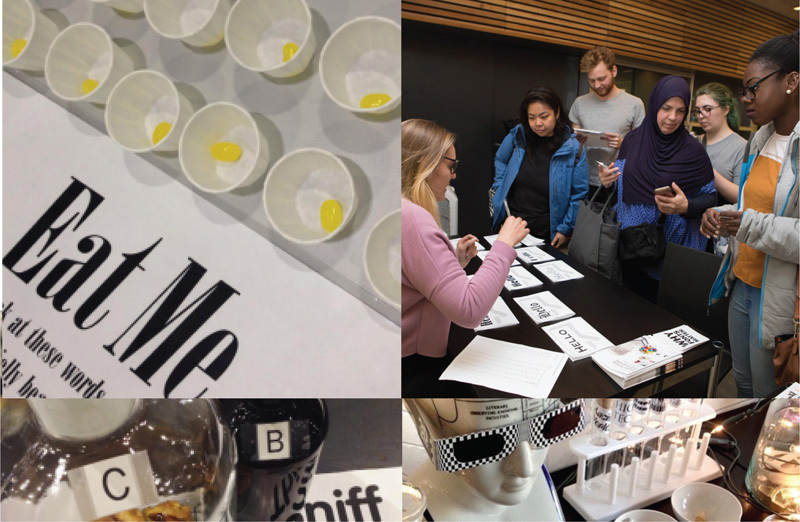 The members of the audience were also invited to take part in ‘font sniffing’ experiments, these are a part of an ongoing project to map smells to typefaces to create a type/smell etymology system. They took part in an experiment to induce grapheme-smell synaesthesia, experienced how a typeface can nudge their experiences to change how something smells or how much they will enjoy it. We ended with the kiki bouba effect, first noticed in the 1920s, which maps the sound of words to visual shapes, and can be used as a type classification system and is worth considering when naming products. 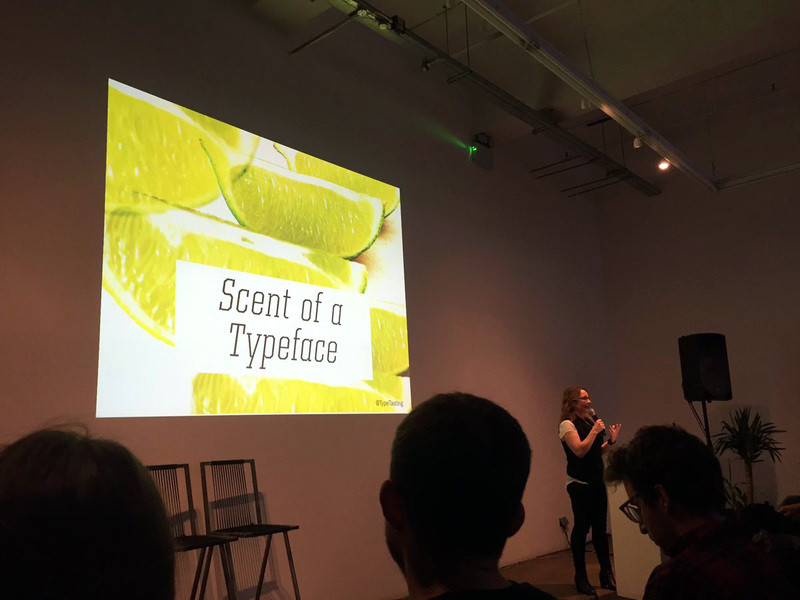 “Think about the fresh and zingy smell of lime; take a deep, imaginary breath as you think about the citrus smell and see how it’s mirrored in the shape of the letterforms…” Inducing grapheme-smell synaesthesia. Fantastic line up of speakers, it was such an interesting evening and Peter’s talk blew me away. Take part in the jelly bean experiment here. Cheers to Monotype for supplying the jellybeans on the night along with the flavour-inducing typefaces. Theo Inglis came over to the Type Tasting studio to interview me for Monotype ahead of Letterform Live and took part in some of the experiments ahead of the talk. Read Theo’s interview here. Main photo by Kimberly Paulus, photos from Twitter and Instagram by Dave Thornhill, Grafik, Kimberly Paulus, Nick Watts, Shireen Dew.